Go The Extra Mile & Shop with Your Bike! Bikes are better. They burn calories instead of carbon, making you lean and green. So why is the weekly shop always done by car? It’s simple: capacity. Bikes can’t offer more competition than heavy and cumbersome trailers… until now. 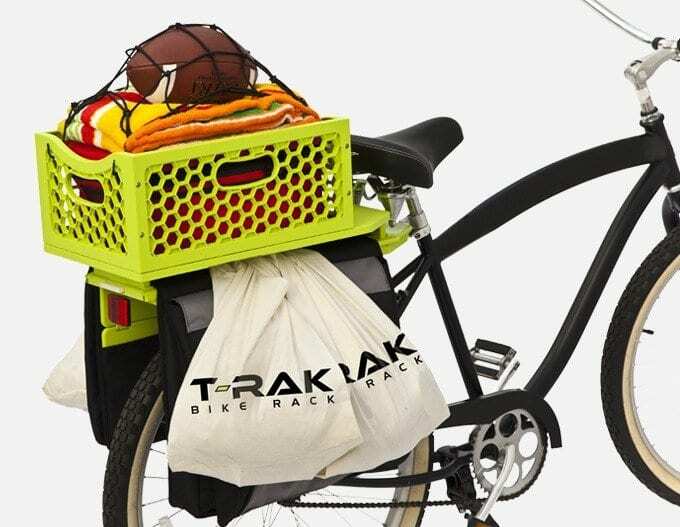 T-RAK is a Versatile, High Capacity Bike Cargo System. 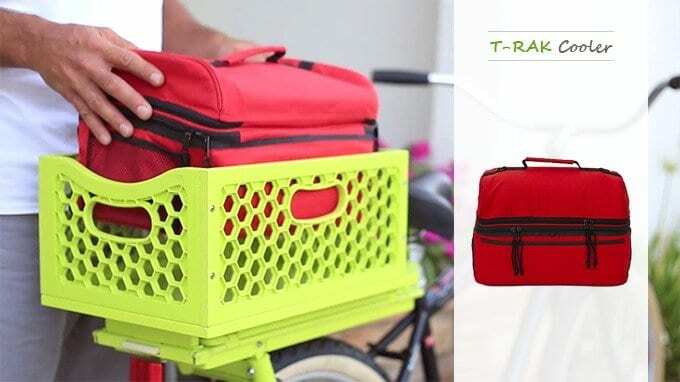 The patented T-RAK Bike Cargo System incorporates a rear rack with retractable side skirting and a host of accessories to fit your cargo carrying needs. 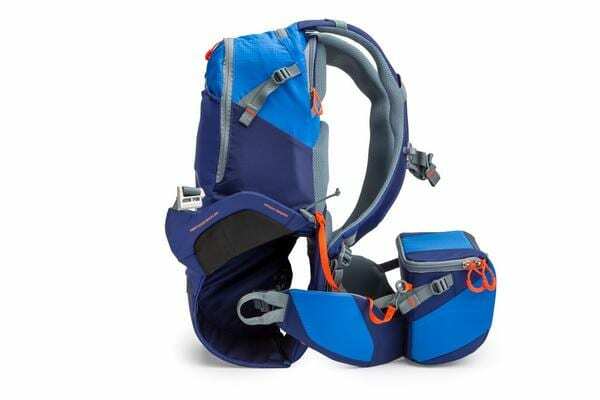 Any load can be easily accommodated, from a few loose bits of sports kit to the week’s groceries in the basket, tote bags, or even the cooler! The T-RAK platform is an innovative attachment that allows you to mix and match custom accessories to meet your cargo needs. 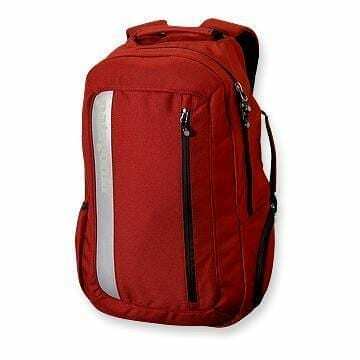 Deploy the retractable side skirting to keep grocery bags clear of the rear, use the bungee net to tie down loose items, or simply clip on the utility box and throw everything in. 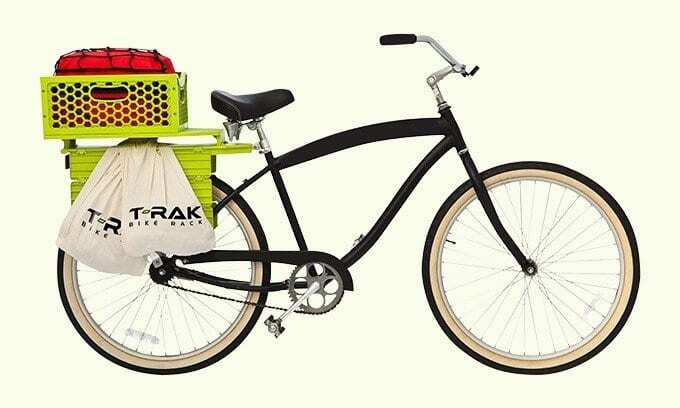 T-RAK can carry up to 48 pounds of groceries thanks to its patented design and reusable canvas tote bags. Best of all, the T-RAK Bike Cargo System gives you the flexibility to carry masses of cargo without sacrificing safety, control or comfort. The T-RAK Bike Cargo System gives you the flexibility to carry masses of cargo without deterioration in control or comfort. You’ll be amazed at how much you can fit on your bike and wonder why you ever needed the car. 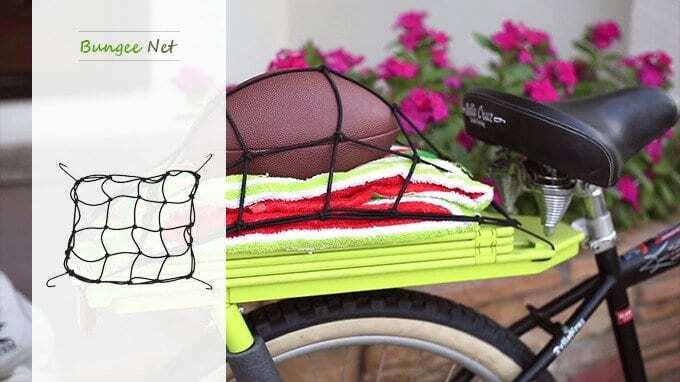 Creator John Vitanza managed 48 pounds of groceries using the four Tote Bags, Utility Box, Cooler and Bungee Net, cycling the 8 mile round trip with ease and even keeping his cream chilled! The design was created by Gaetano Vitanza, a man who had a knack for fixing problems with his hands. Late in his life, his health deteriorated to the point where he couldn’t even drive his car to the supermarket. 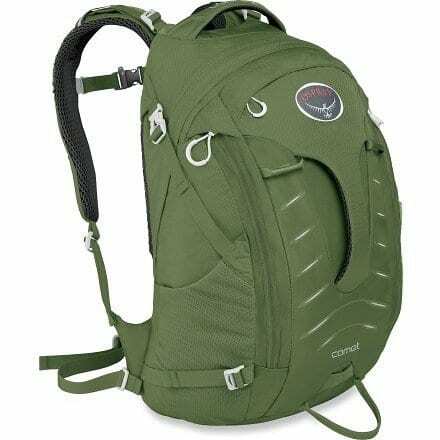 However, he could still ride his bike and started creating the first designs for the T-RAK cargo system. After his passing in 2007, his son John iterated on them to the design being created today.